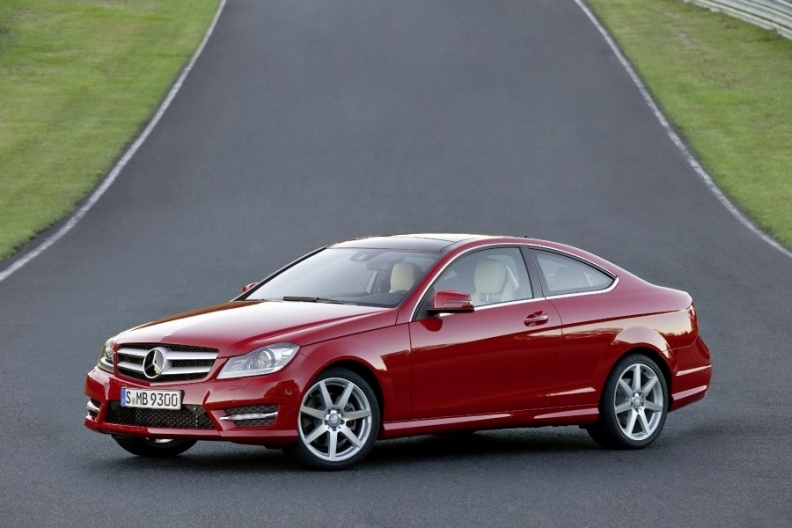 Mercedes says it is entering a new market segment by offering the C-class coupe. FRANKFURT -- Mercedes-Benz aims to win more younger buyers with its C-class coupe, which will debut next month at the Geneva auto show. "This coupe is the most sporty C class ever," a Mercedes spokesman at the company's Stuttgart headquarters told Automotive News Europe. Mercedes expects the coupe to account for 10 percent to 15 percent of total C-class sales. Mercedes officials said the C-class coupe is tailored to a customer group aged 35 to 45 "for whom professional success, love of life and a strong sense of responsibility are all important." Henner Lehne, an analyst at IHS Automotive, said Mercedes may sell about 25,400 coupes worldwide in 2011 from a projected total C-class sales of 312,100 units and 55,200 in 2012 from a forecast C-class sales of 331,100. The four-seat coupe will be offered with safety and fuel-saving features to help it go head-to-head with the BMW 3-series coupe and Audi A5. The C-class coupe will debut a new generation of telematics with large displays, a phone book transfer feature, Bluetooth wireless audio streaming and a USB interface in the center armrest, as well as engines and driver assistance systems from the E class. 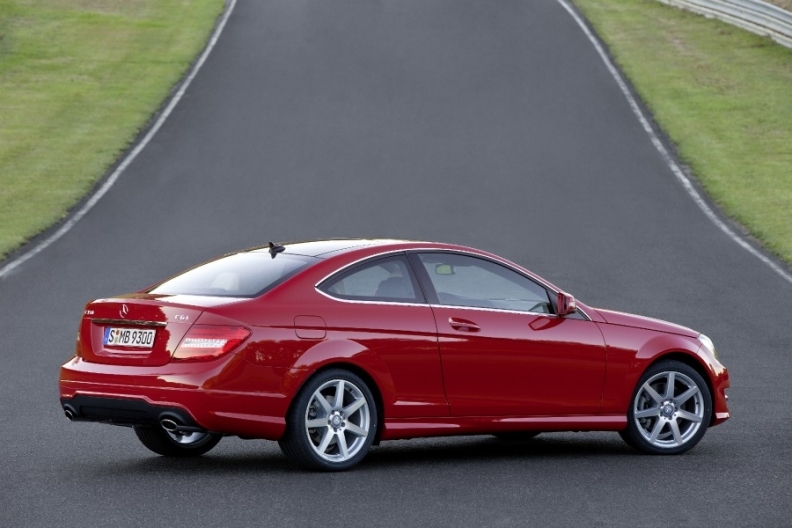 Mercedes says it is entering a new market segment by offering a compact, classic coupe. The car arrives in European dealerships in June and goes on sale in the U.S. in September. The launch of the new C-class coupe will see the end of sales of the smaller CLC sports coupe, which was built in Brazil until the end of last year. The C-class coupe head-to-head with the BMW 3-series coupe and the Audi A5. The C-class coupe is built is in Bremen, Germany and is based on the latest C-class architecture (204). It offers the latest engines and assistance-systems from the E class. Mercedes said it currently has no plans for a C-class convertible.